Like most programs you pay for, Adobe Acrobat requires that you enter a unique serial number before using it. So, before you can install or reinstall Adobe Acrobat, you'll need to find the serial number that came with the program. If you've lost your serial number, there's a very good chance you can retrieve it but only if Adobe Acrobat is still installed and the computer it's on is working. You might be able to find your Adobe Acrobat serial number if you've uninstalled the program but only if the serial number information was left in the Windows Registry. We'll go over everything you need to know below. The Adobe Acrobat serial number is actually more of a product key than a serial number but the terms are often used interchangeably. The easiest way to find your Adobe Acrobat DC or Acrobat X serial number is with a product key finder program. Product key finder programs automatically search your computer for the product keys and serial numbers that your software programs store in the registry, Adobe Acrobat included. See our Free Product Key Finders list for a number of programs that do just this. Not only that, they'll find your Acrobat serial for free. Most of the programs in that list are small and really easy to use. The programs we've linked to will find the serial number for any recent edition of Acrobat, including Adobe Acrobat DC (Pro or Standard), Adobe Acrobat X, Adobe Acrobat 9, etc. For example, Belarc Advisor, one of our favorite key finder tools (and the program shown in the example below), will properly locate the serial number for any version of Adobe Acrobat you have. If you find that another does for sure, let me know so I can keep this page updated. Software Licenses Found With Belarc Advisor. Note: The serial numbers in this picture have been greyed out but you'll see yours listed on the right side in plain text. Most product key finder programs are designed to find serial numbers and product keys for operating systems, like Windows 10 or Windows 8, but some of them find serial numbers for several other programs as well—programs like Adobe Acrobat. While a keyfinder tool is certainly the easiest way to do this, no, it's not the only way. It'd be unwise of me to skip the obvious—maybe Adobe can help! Depending on how, when, and from whom you purchased Adobe Acrobat, you may be able to contact Adobe and get your Acrobat serial number from them. Visit Adobe's Find Your Serial Number page for more help. Fortunately, the exact registry key that stores your Adobe Acrobat serial number is well known, as is a database file that stores it. 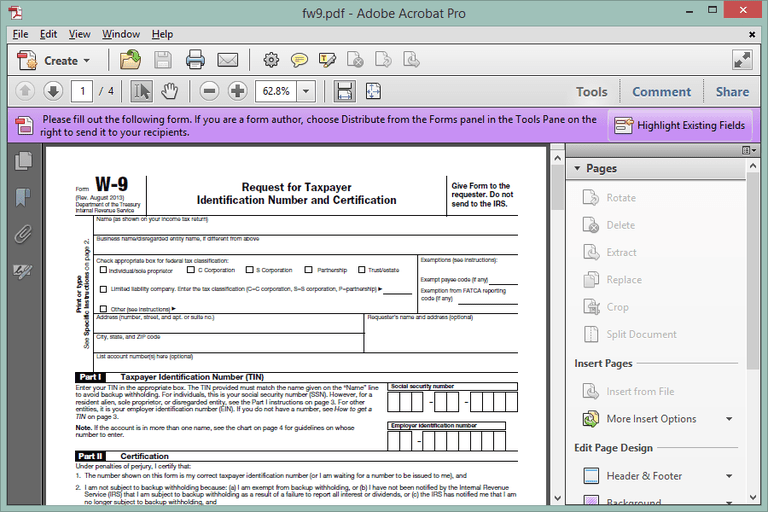 Adobe Acrobat 10.0 Registration Information (64-bit). If you see multiple folders under Adobe Acrobat, replace 11.0 in the path above to whatever version of Acrobat you have. See Am I Running a 64-bit or 32-bit Version of Windows? if you're not sure which key to look for. Your other option is to grab the cache.db file from C:\Program Files (x86)\Common Files\Adobe\Adobe PCD\cache and open it with any free SQLite database viewing tool. Please know that this serial number is encrypted, meaning that what you find in the registry key or the database file is not the literal serial number you can enter to install Adobe Acrobat. You'll first have to decrypt the serial number. The Adobe Acrobat serial number decryption process is fairly complex and has been well documented in this Super User thread, so I won't reinvent the wheel and post it here. Don't do that. There's no other way to put it. While you may have come across Adobe Acrobat key generator programs or other kinds of Adobe Acrobat cracks, please know that these are not legal ways of obtaining a working serial number. The only legal way of installing this program is by using a valid Adobe Acrobat serial number obtained through a legal purchase of the software. If all else fails, you may be left with the final option of buying a new copy of the software. Amazon has great prices on most versions of Adobe Acrobat, plus options for previously used boxed copies as well. Another option is to abandon Adobe Acrobat altogether and choose a free tool that does the same thing. Seriously. While not as robust, there are a number of other options out there. Check out our list of the Best Free PDF Editors for some Acrobat alternatives that let you modify a PDF. Also see How to Print to PDF for multiple free ways to make a PDF file from any file or program.